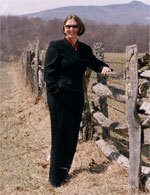 BARBARA S. YOUNG is your ambassador to "The Exclusive Gated Mountain Communities" including: ELK RIVER GOLF AND COUNTRY CLUB, LINVILLE RIDGE GOLF AND COUNTRY CLUB, HOUND EARS GOLF AND COUNTRY CLUB, YONAHLOSSEE GOLF AND COUNTRY CLUB, TYNECASTLE, BEECH MOUNTAIN and GRANDFATHER GOLF AND COUNTRY CLUB. Barbara S. Young originally hails from Palm Beach County over 40 years ago. I relocated to the Boone/Blowing Rock/Banner Elk area where I was employed for fifteen years with the Town Of Boone, Planning & Inspections. Working closely with engineers, architects, builders, and developers I gained invaluable expertise in the construction market. My career moved in 1987 from Inspections to Real Estate. I have always maintained an entrepreneurial spirit, enthusiasm and professional knowledge of Real Estate in the Exclusive Gated Mountain Communities. Banner Elk Properties specializes in the High Country Gated Communities. With the knowledge and experience of over 30 years in the High Country, we can give you the most memorable vacation you can imagine! Banner Elk Properties goes above and beyond other Property Management companies by offering more than just a place to stay. It's the perfect time to purchase a home in the North Carolina Mountains. You deserve it, spend more time with your friends and family enjoying all that the High Country has to offer.